I don’t think there is anyone out there that would suggest it’s better to teach students who aren’t engaged compared to those that are engaged. Engagement and immersion are not synonyms, at least I don’t think so. But, I have yet to see a student who becomes immersed who does not also become engaged. The premise behind LiteratureAlive!, that visual, tactile, and aural experiences contribute to engagement in learning, is one that sometimes separates students in various disciplines. People who are “hands-on” learners may be destined to enjoy only subjects that focus on the tactile, like biology or archaeology. Programs like LiteratureAlive! remind us that there are ways to allow all types of learners to enjoy the study of literature. After all, reading the American Romantics is one thing, but seeing Walden Pond and walking up the path to the Old Manse is another experience entirely. Thanks, Eloise, for your thought-provoking post. 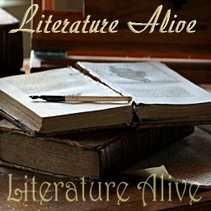 …A little more information about LiteratureAlive! : This post from early 2007 lists the goals of the organization. Also visit the LiteratureAlive! wiki or the Second Life virtual community that facilitates LiteratureAlive!. This entry was posted on Wednesday, August 27th, 2008 at 2:01 pm and is filed under ProfoundNet. You can follow any responses to this entry through the RSS 2.0 feed. Both comments and pings are currently closed.